Get hands-free help in any room. Google Home Mini is powered by the Google Assistant, so you can ask it questions and tell it to do things. Just start with "Ok Google" to get answers from Google, tackle your day, enjoy your entertainment, and control your smart home. And when you ask for help, it can tell your voice from others for a more personalized experience. 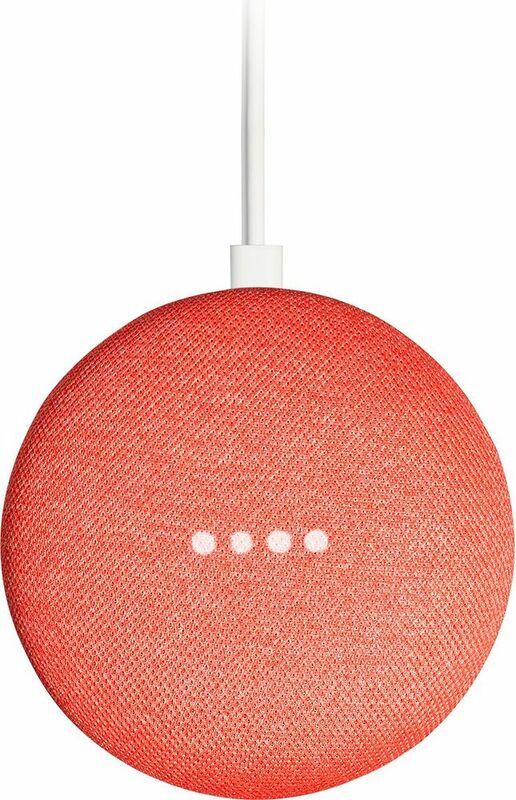 Google Home Mini works on its own, or you can have a few around the house, giving you the power of Google anywhere. A powerful little helper: Get hands-free help in any room with Google Home Mini. It's powered by the Google Assistant. You can ask it questions. Tell it to do things. It's your own personal Google. Get answers from Google: Use your voice to quickly find information about the weather, news, sports and more.